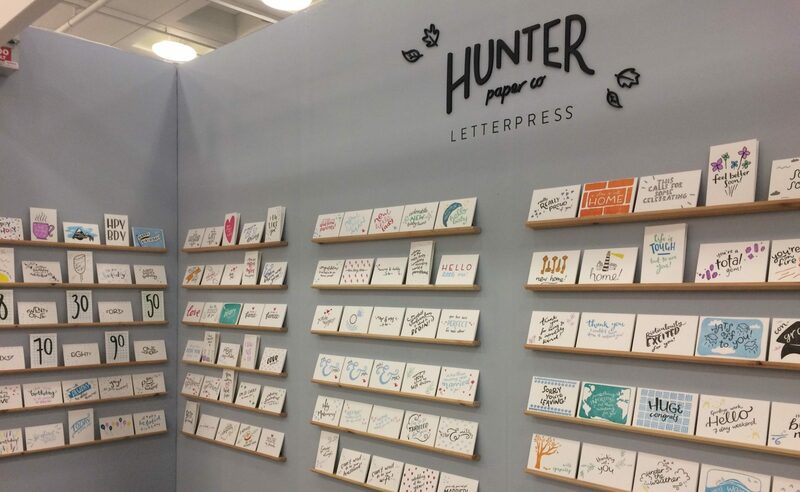 After hearing about the support through a friend Emma Jackson of Hunter Paper Co. successfully applied through the open competitive opportunity “Assistance to International Trade Fair”. This allowed her to avail of financial support, a creative momentum project, to attend an international trade fair. "Around 4 to 5 months in advance I engaged with the fair organisers and their partners to discuss shipping. Top Drawer have a great online portal for information which helped a lot with all the organizing. The only real problem I had in terms of shipping was getting a lorry to collect from a residential property as I work from home"
"I sent out promotional postcards to shops I’m interested in stocking and current stockists, as well as promoting on social media. I then decided on what I would showcase at the fair itself, I displayed a sample of everything in my range. 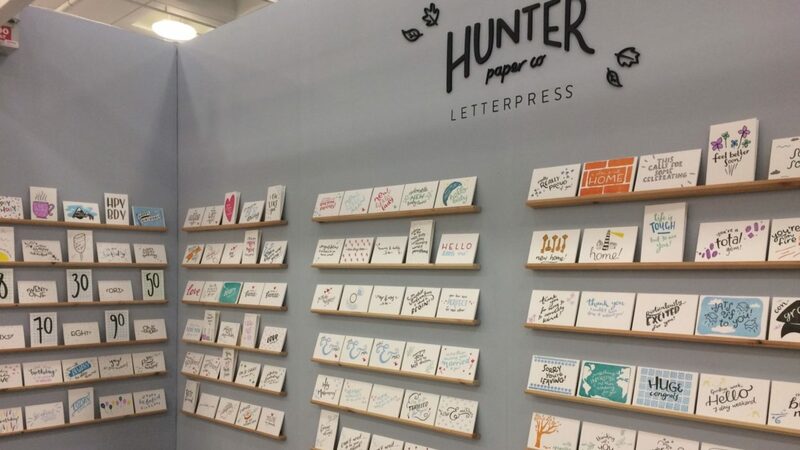 I displayed the greetings cards on thin shelves, and had a cabinet to store catalogues, with an iPad displaying a video of my process and a small printing press displayed on top on "
"Make the most of the opportunity to promote your business before the show. Make sure you follow up on leads afterwards"
Emma can now demonstrate significant economic upturn following her attendance at the London trade fair, she has a number of new repeat customers outside of Northern Ireland and has already taken on one new member of stuff to help handle the extra workload. 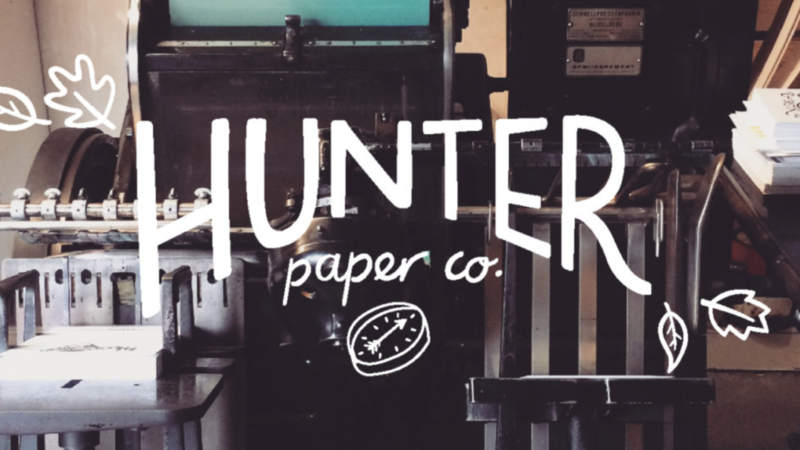 Emma has already made the decision to take Hunter Paper Co. back to Top Drawer this coming January to continue the growth and development of Hunter Paper Co.
a creative momentum project is co-funded through the EU Northern Periphery & Arctic Programme (NPA) which aims to increase economic activity and co-operation across the regions of Europe’s northern periphery.